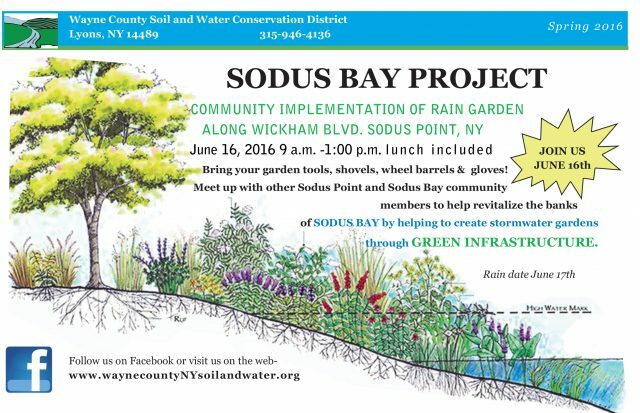 Join us on June 16th at 9:00 A.M. – 1:00 P.M. and help Sodus Bay. Bring your garden tools, shovels, wheel barrels and gloves! Meet up with other neighbors as we plant a storm water garden. (rain date Jun 17th).